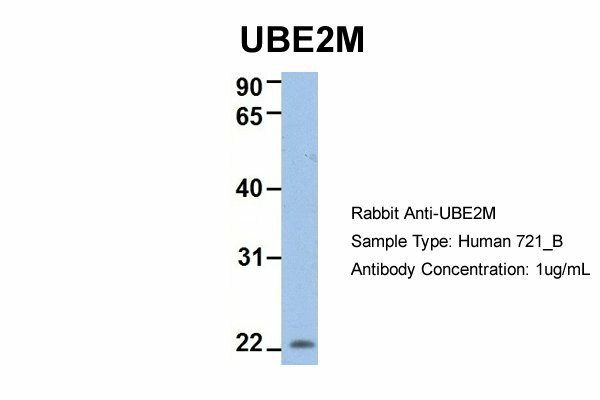 UBE2M monoclonal antibody (M01), clone 3C4 Western Blot analysis of UBE2M expression in Jurkat ( Cat # L017V1 ). 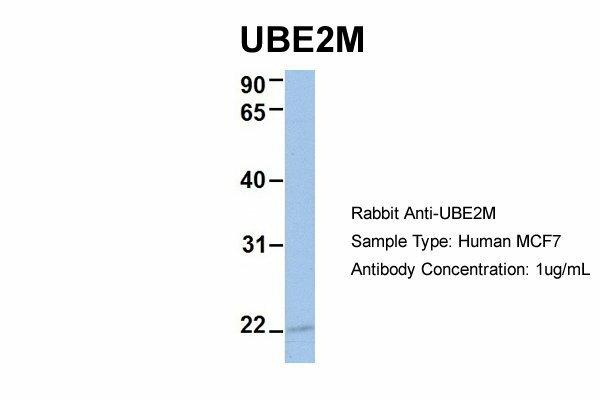 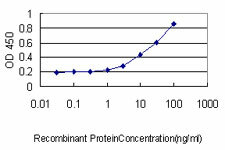 Detection limit for recombinant GST tagged UBE2M is approximately 0.1ng/ml as a capture antibody. 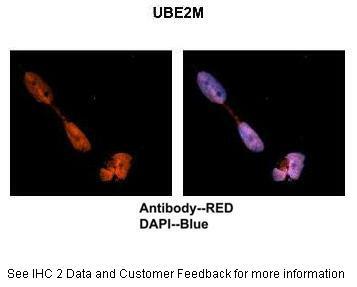 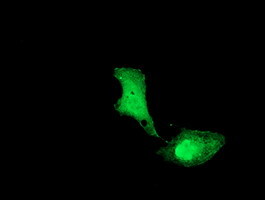 Anti-UBE2M mouse monoclonal antibody (TA503770) immunofluorescent staining of COS7 cells transiently transfected by pCMV6-ENTRY UBE2M(RC208946). 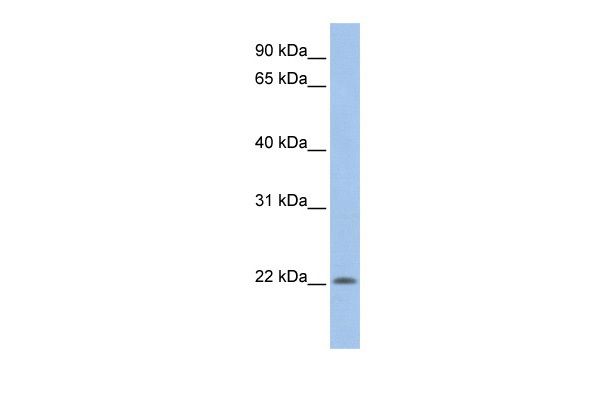 HEK293T cells were transfected with the pCMV6-ENTRY control (Left lane) or pCMV6-ENTRY UBE2M (RC208946, Right lane) cDNA for 48 hrs and lysed. 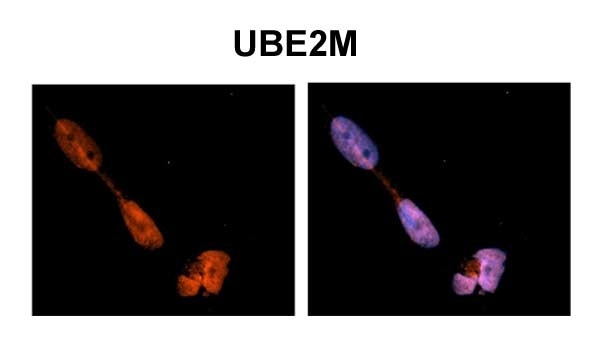 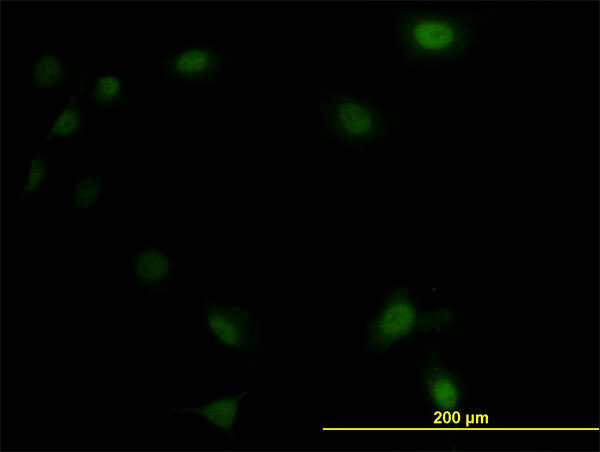 Equivalent amounts of cell lysates (5 ug per lane) were separated by SDS-PAGE and immunoblotted with anti-UBE2M. 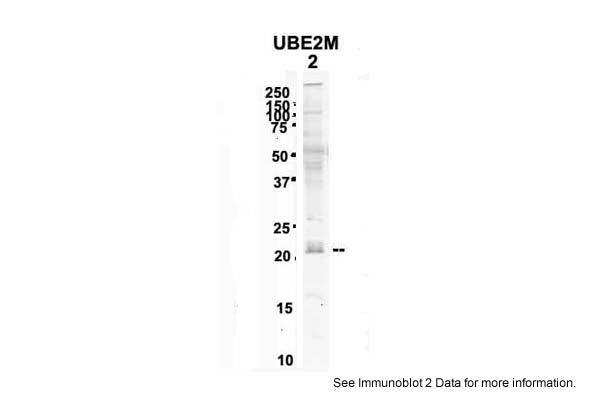 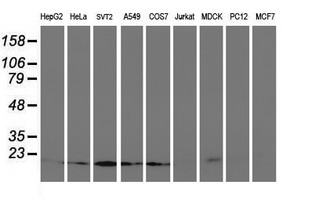 Western blot analysis of extracts (35ug) from 9 different cell lines by using anti-UBE2M monoclonal antibody.